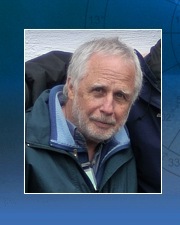 Matrix Software founder Michael Erlewine helped to revolutionize modern computerized astrology back in the early '70s. An archivist of popular culture, Erlewine pioneered Internet content by founding the All Music Guide, All Movie Guide, All Game Guide, and ClassicPosters.com, today some of the most popular entertainment sites on the web. In recent years, Michael Erlewine has found time to work with astrology once again, producing the StarTypes series of astrological programs. Combining tarot card-like graphic with astrological wisdom is something Erlewine has always wanted to do. "This is astrology as I like it, with lots of images to spark my imagination," he writes, "I hope you enjoy these programs as much as I do." Matrix is pleased to present a new collection of e-books by Michael Erlewine. Those of you who have followed Michael's astrological career know that he is a pioneer often on the cutting-edge of astrology exploring both new techniques and new philosophical approaches to astrology. These new e-books, an adjunct to the StarTypes software he has recently developed, are again challenging traditional thinking and attempt to move astrology into a new century. We hope you find them interesting. Michael Erlewine believes that a picture is worth 1,000 words, as the old saying goes, and his e-books show it; they are filled with full-color diagrams and illustrations. Erlewine writes: "Printers don't want to do color anymore, at least in any quantity. These e-books contain thousands of full-color illustrations, many of them Astro*Image cards, which are tarot-cards for astrologers." NEW Spirit Grooves: "Shamans — Spirit Guides"
Spirit Grooves is a channel of half-hour shows hosted by Michael Erlewine on alternative awareness that will launch in March of 2013 to an audience of some 540,000 viewers. This segment is on the role of eclipses and their psychological and emotional effect on us. It combines the traditions of both western astronomy and astrology with that of the Tibetan Buddhists and and Chinese culture. NEW Spirit Grooves: "Solar Eruptions and Creativity"
NEW Spirit Grooves: "Solar Flares and the Mystic Sun"
NEW Spirit Grooves: "Solar Storms and the Psyche"
NEW Spirit Grooves: "The Vision of the Eclipse"
The traditional astrology chart combined with the astronomical chart for the solar system triangulates to create a 3-D perspective on a birth moment. Geocentric and heliocentric astrology, separate for some 400 years, come together to empower the astrology of the 21st Century. Thirty-six articles written in 2012 on focus stacking, close-up & macro photography, the Nikon D800E, focus rails, wide-aperture stacking, industrial and exotic Nikkors, and much more. An introduction and commentary on basic sitting meditation that is easy to read. An 32-page article on solar flares, CME events, and related solar phenomena as regards how they affect us psychologically, spiritually, and physically. A series of articles on the active Sun, including solar flares, CME (Coronal Mass Ejection) events, and related phenomena from an astrological point of view, how these massive solar events affect us personally, psychologically, and spiritually. Sixteen articles on the lunation cycle, with emphasis on the effect of New and Full Moon, and particular attention given to eclipses and their interpretation. 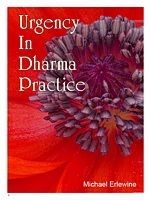 Being twelve articles on the basics of mind training and dharma practice presented in an informal way. Included are complete instructions for Shamata sitting meditation and Tonglen, two classic mind training methods. Twenty-five easy-to-read articles on meditation and mind training, including post-meditation practice, mixing your meditation with daily activities and more. The first in a two-book series on close-up and macro photography. This volume covers close-up and macro technique, equipment, in-the-field use, and even motivation and the spirit of this kind of photography. Included extensive detail on focus stacking and the creation of mini-panoramas.This is a companion book to the second volume in this series on macro and close-up lens, their specs, photos, and photos taken through with the lenses. The second volume in a two-book series on close-up and macro photography. This book has detailed specifications on 42 of the finest lenses used for macro and close-up photography on Nikon systems. Photos of the lens itself and several ultra-close-up photos through each lens are included. This is a companion book to the first volume in this series on macro and close-up photography technique and equipment. In July of 2011 His Holiness the 17th Karmapa visited his seat in the Americas at Karma Triyana Dharmachakra. This is part of that story in photos. Includes a brief history of Michael Erlewine and the founding of Matrix Software, plus something about the astrological scene at the time. In the late 1950s and early 1960s the interest in folk music and its roots in rural America and the European Continent reached a high pitch as thousands of young adults crisscrossed America documenting folksongs and sharing authentic music. Folklore societies sprung up at many major campuses. This was a folk revival, one that has not been repeated since. But old English and Scottish ballads were not the only music discovered during this time. There was another even more indigenous music that needed no revival. In fact this music was very much alive and probably playing somewhere just across town, separated only by a racial curtain: modern city blues. This article is about the heyday of folk music in the late 1950s and early 1960s and something about how white America discovered the blues. This is an extended (non-standard) treatment for film that is in the general lineage of “Blade Runner,” a no-tongue-in-cheek drama, with no camp. A finished screenplay also exists, but to get an initial impression, it is hoped that this treatment will suffice. The film takes places in the future, but not very far into the future. The concept of mandalas, their offering, and the creating of sacred space in everyday life. A first-person and candid look at some of the most common addictions we humans succumb to: nicotine, alcohol, caffeine, sugar, eating meat, and overeating, along with ideas on how they might be handled. 154 pages, 239 hi-res full-color nature photos. This book documents the author’s personal journey in dharma practice, particularly as regards learning Mahamudra meditation. This volume includes much of the previous book “The Lama of Appearances,” and then adds more recent experiences, plus an introduction to learning about Buddhism and how to approach it. This short article addresses urgency in learning to experience your mind through meditation and other dharma practices, including the Four Thoughts That Turn the Mind Toward the Dharma. 619 Pages, 55.8 Mb PDF file. 622 Pages, 55.9 Mb PDF file. Founded by author/astrologer Michael Erlewine, Local Space is one of the main relocation techniques used by professional astrologers around the globe. Here is a quote from this definitive book. Poster expert Michael Erlewine interviews 18 of the greatest poster artists, promoters, collectors, and experts from the 1960s and beyond. These are fascinating in-depth interviews. Interviews with Chet Helms, Eddie Wilson and The Armadillo, Emek, Alton Kelley, David Singer, Ed Walker and S.F. Rock Posters, Eric King, Frank Kozik, Grant Mechinan, Penelope Fried, Phil Cushway, Greg Davidson, Russ Gibb, Randy Tuten, Stanley Mouse, Victor Moscoso, Dennis King, and Paul Grushkin. A collection 101 articles on posters including 43 interview plus sections on the principal poster sets and lists of the most popular bands, venues, artists and promoters in various parts of the country and world. A collection of 43 articles on posters by Michael Erlewine on their collection, value, history, archiving, storing, and you-name-it. Also some poster artists bios, terminology, artistic critiques - a veritable smorgasbord of information about valuable concert music posters. Open the PDF and read the table of contents. An introduction to macro and close-up photography including focus stacking, the technique, equipment involved, examples of stacked photos, problems encountered in focus stacking, processing, and more. This 2nd edition includes a large section on macro terms, techniques, equipment, etc., answers to some of the questions many of you have been writing me with who would like to learn more about nature close-up and macro photography.